Digital technology has profoundly impacted many aspects of our lives, including the domain of healthcare. Electronic health record (EHR) software constitutes a critical form of technology that currently affects and will continue to transform this key field in our modern world. An electronic health record is a digital version of a patient’s medical chart. Its contents include the data collected on a patient in physicians’ offices, such as medical history, diagnoses, treatment plans, medications, allergies, X-ray images, test results and administrative information. An EHR on a patient is maintained over time, updated in real time, and can be readily accessed when needed by authorized healthcare practitioners. How is EHR currently affecting healthcare? The healthcare field has already experienced some effects of EHR, such as the reduction of test duplication, reduced delays in treatment, and streamlined work flows of patient care. Some studies indicate that EHR use is associated with increased clinician productivity. 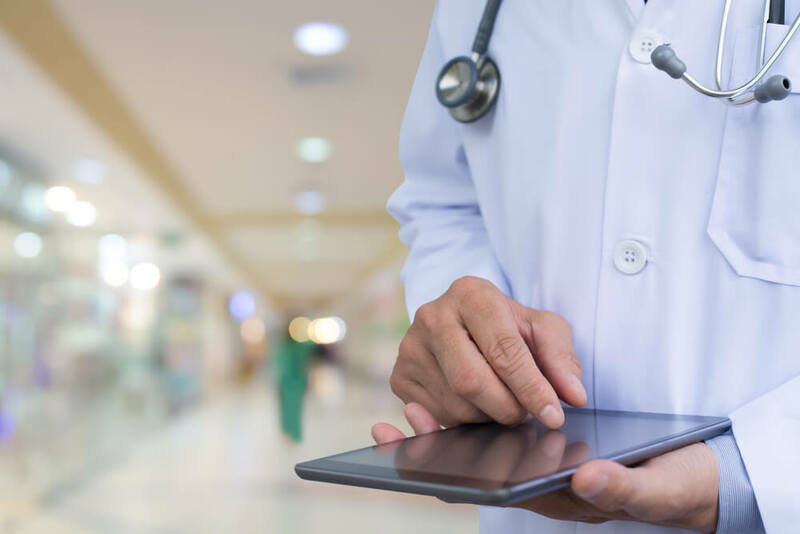 The automated access to information that EHR currently offers has given physicians and other healthcare providers a crucial means to gauge the quality of care they are providing by tracking a patient’s progress more expediently than they could prior to EHR technology. Research indicates that the vast majority of physicians who use EHR would prefer to continue using it in the future instead of returning to paper medical records. As EHR technology evolves, its effects on the healthcare field are expanding. Additionally, other technologies may be employed to ease the implementation of EHR technology during its growing phase. For example, physicians surveyed have cited some concerns regarding the usability of EHR, including time-consuming data entry in particular. Some software programs may potentially reduce or eliminate these issues. One such program, the Dragon Medical Practice Edition 2, offers providers medically-tailored voice recognition software to assist with EHR data entry. Dragon Medical Practice Edition 2 has a 99 percent accuracy rate out of the box, and incorporates medical vocabularies in over 90 categories and subcategories of medical specialization. Using this type of software, healthcare providers can dictate a patient’s data into an EHR, saving time and labor in their work process. Electronic health records are also the wave of the healthcare future because they go beyond standard medical data and encompass a broader view of patient care. As they are designed to share information across multiple providers, EHRs will increasingly contain information from all practitioners who participate in a patient’s care, including primary care doctors, specialists, clinics, emergency rooms, radiology facilities and laboratories. The sharing of data across multiple practitioners and organizations that EHR technology makes possible holds innumerable benefits for the future of medical care. Another transformative dimension of EHR is its capacity to examine patient information not only on the individual level, but also in conjunction with wider demographic data using smart analytics. For instance, EHR can provide practitioners a macro-level view of the underlying causes of a spike in hospital admissions for a particular illness or condition. As it creates the possibility to understand such large-scale trends in the health field, EHR technology will influence future medical policy and continue to revolutionize healthcare.